The kettlebell high pull is a very cardiovascular exercise that builds on from the one handed kettlebell swing. The kettlebell high pull is fast, very dynamic and can be tricky to master at first so look out! The kettlebell high pull exercise, like so many other kettlebell exercises, is a full body movement. Like the one handed kettlebell swing the high pull works deep into the back of the body and so is excellent for improving posture. One of the greatest benefits of the kettlebell high pull is the horizontal pulling action that activates the muscles in the upper back, an area that is often neglected. Horizontal pulling exercises help to balance out all the sitting and rounded shoulders that so many of us suffer with in todays office based society. 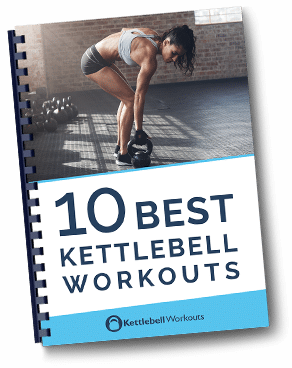 The kettlebell high pull is slightly more technical than the one handed kettlebell swing and involves a pull and a push at the top of the swinging movement. The additional pulling movement of the high pull makes the exercise even more dynamic than the kettlebell swing and far more cardiovascular. The kettlebell high pull exercise works practically every muscle in your body. You achieve the benefits of the kettlebell swing but with the added bonus of the horizontal pulling movement and ramped up cardio. There is also a lot of stabilisation muscle activation involved in the movement too. As the high pull is very dynamic the smaller muscles have to work hard to keep the joints in correct alignment. The kettlebell high pull exercise is a progression on from the one handed swing. If you struggle with the one handed kettlebell swing or cannot swing a kettlebell with one arm for 60 seconds then the high pull exercise is not for you just yet. You will achieve more benefits by mastering the one handed swing first than trying to use the high pull exercise. You will need to have good forearm and wrist strength along with control of the kettlebell. Be aware that sweaty or greasy kettlebell handles may interfere with your grip and make this exercise really challenging. Caution: the kettlebell does get very close to your face during every repetition so please be careful that you don’t lose control and have a good grip on the kettlebell at all times. 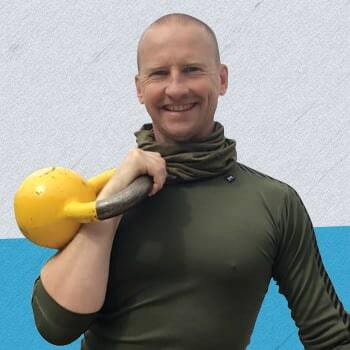 My advice, as with all kettlebell exercises, is to start off with a lighter kettlebell before increasing the load. The kettlebell high pull exercise lends itself beautifully to be used with other kettlebell workouts. Try to work on smooth transitions from one exercise to the next without putting the kettlebell down. If you find 10 repetitions too much then you can reduce it down to 5 reps.
You can also set an interval timer to beep every 30 seconds and use that as your signal to change exercise. Technique and forearm endurance are often a determining factor on the length of a set of High Pulls. Gradually build up the reps on each hand as your endurance increases. The kettlebell high pull exercise is a highly effective full body movement. You will need a good foundation in kettlebell swings before attempting this exercise because it is very technical. Once mastered it adds a great variation to many kettlebell workouts and is excellent for improving cardio and full body conditioning. Enjoy the kettlebell high pull and even more the great results that it can generate for you. I follow you with great interest, but I must admit I am very cofused here. In most of the high pulls videos I find around, people start to pull their elbow up, at approx 45 degrees with horizon, as the bell past the knees. You pull horizontally and when the kb reaches the top. Are these 2 different variations of same exercise? Good to hear from you Claudio. My high pull variation works more into the mid-back rather than the upper back which is often overstressed in daily life and also abused in the gym.